Pundits who forecast that only a geopolitical event would boost crude prices in an otherwise flat market didn't reckon on the might of a meteorological event such as Hurricane Florence: the so-called monster storm, which is expected to cause widespread devastation when it hits the U.S. East Coast on Thursday, caused oil prices on Tuesday to surge over 2 percent. 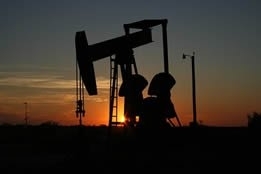 West Texas Intermediate settled up 2.5 percent to $69.25 per barrel, while Brent crude climbed 2.2 percent to $79.10. John Kilduff, founding partner at Again Capital, explained the unexpected gains by remarking, "This is people buying ahead of the storm, even though it is misplaced. "Gasoline is leading the way: it's the demand surge we're seeing as people try to get out of the way of the storm.…at times like this people will buy to make sure they're covered." But the worry among traders was apparently deeper than citizens simply trying to avoid a hurricane: Gene McGillian, vice president of research at Tradition Energy, noted, "There were worries about whether [Florence] would affect the Colonial Pipeline, which is a big product pipeline to the northeast." However, McGillian echoed Kilduff's sentiments that the worries were misplaced, by stating that in reality the hurricane should create demand destruction. Still, there's nothing like impending calamity to get crude analysts in the mood to debate other ways prices could rise, and on Tuesday Fereidun Fesharaki, founder and chairman of consultancy FACTS Global Energy, looked no further than the U.S. sanctions on Iran's energy industry to warn that prices could skyrocket above $100 per barrel in the near future. He told CNBC, "If there was not that set of sanctions, I think prices would go to $70 or even a little bit lower; but now the sanctions threat is real and less than two months in front of us, that will transform the market into much higher prices." He reiterated the familiar argument of other pundits by saying that if Iranian supplies are cut off entirely, other major producers will not be able to easily fill the void, thus pushing prices above $100. As if intent to compound the gloomy outlook, Fesharaki added, "At the moment, what is holding [oil prices] from going up is the fear, macroeconomic fears; [but] if the U.S.-China [trade war] is settled, the price of oil only has one way to go: up." Fesharaki's prognostications notwithstanding, once Florence peters out it will be interesting to see if crude prices continues to drop, a pattern that earlier this week was said to be motivated by a growing conviction that countries such as Saudi Arabia and Russia may well be able to make up for Iran's losses after all. Even the IEA admits that the Venezuelan crisis can be mitigated.